Offering an extremely high performance, the C-Scope SD100 is designed for use in the security industry. 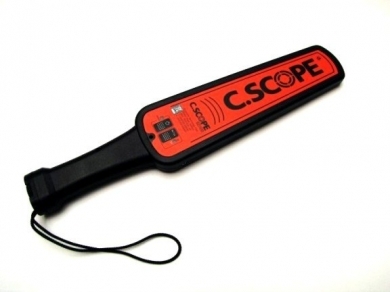 This hand held metal detector features a clear audio tone and illuminated LED, alerting the user to the presence of a metal object. The SD100 features a normal sensitivity setting for everyday use and a Hi-Alert sensitivity which optimises detection range and small object recognition at just the push of a button.